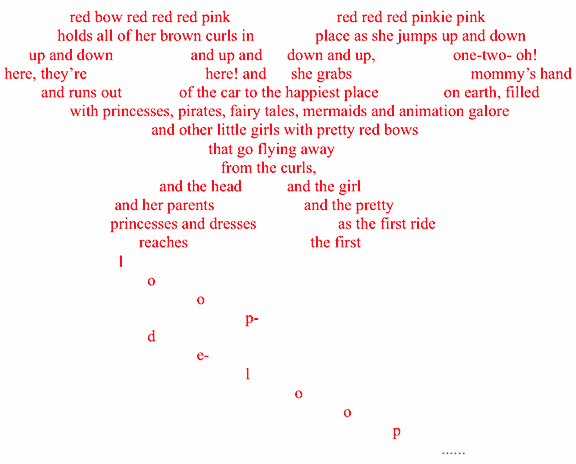 Writing a concrete poem is a fun activity combining poetry with art. The poet arranges the words of the concrete poem in a shape or design that shows the meaning of the poem. Concrete poetry is sometimes called shape poetry, pattern poetry, or visual poetry. Illustrated poetry using shapes to elaborate the meanings of words is ancient, going back to the 3rd century BC. The form came to the attention of many poets in the early 20th century, but it wasn't called "concrete poetry" until the 1950s. The style was popularized in the 1960s. Writers who have created concrete poetry include Bob Cobbing, Augusto de Campos, Ian Hamilton Finlay, Guillaume Apollinaire and George Herbert. The idea of using letter arrangements to enhance the writing can be seen in many other types of poetry, such as acrostic poems. Concrete poems have very few limits—feel free to take up a marker and color, or experiment with different sizes and fonts! 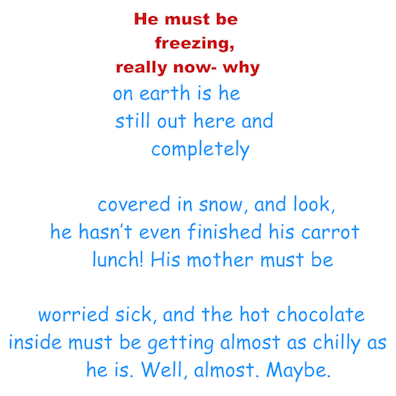 Write poems around the perimeter (outer edges) of pictures of common items and maps. This simple structure makes beginning to write poetry a little easier and more fun. Author: Audrey Col-Spector. Copyright ©2015-2018 EnchantedLearning.com. 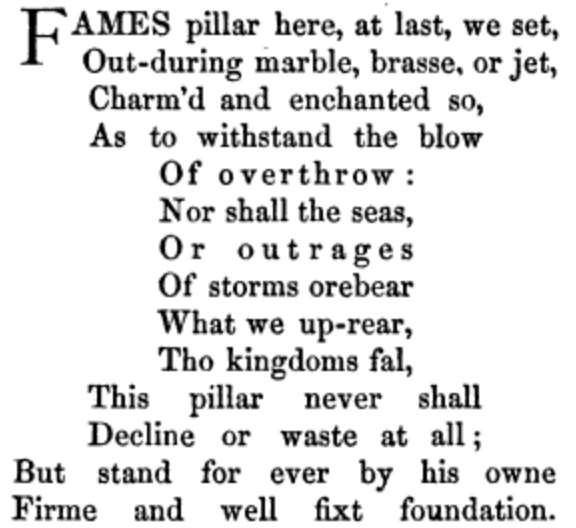 "The Pillar of Fame", from: Robert Herrick, Hesperides: The Poems and Other Remains of Robert Herrick Now First Collected, ed. by W. Carew Hazlitt, London: John Russell Smith, 1869, vol. 2, p. 359. "Red Bow" and "Snowman"—Copyright 2010 Audrey Col-Spector.